Commvault came to Hotwire with a need to build its social community on Twitter and to increase social engagement not only externally but also internally. 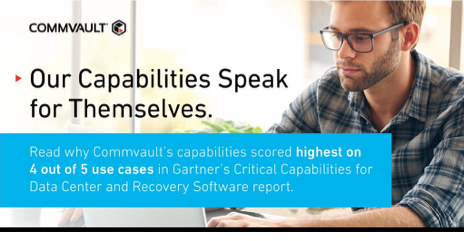 As one of the most successful and established companies in data backup and recovery, Commvault was battling an awareness problem in the digital space: their competitors had more Twitter followers and hence more engagement – making them seem stronger and larger. The impact on Commvault’s visibility and credibility with potential customers was noticeable and needed to be brought to represent reality. Hotwire’s Digital Brand Labs (DBL) team was challenged to rectify this quickly and cost-efficiently. Our experts within our Digital Brand Labs team developed a concentrated paid and organic Twitter strategy that focused on promoting Commvault’s core expertise while expanding out to new users and gaining followers. It was imperative at first to establish a regular posting cadence that followers could rely on. After identifying core assets to promote organically, we optimized top posting times, new content creation and promotion through rigorous data analysis. Following this intensive period, we worked with Commvault to establish a regular paid follower campaign on Twitter to steadily focus on follower growth. Lastly, we implemented Hootsuite Amplify as a direct channel to employees to spur engagement and additional promotion. At the close of FY 2017, Commvault’s Twitter handle saw a follower growth rate of 204%. In just one year, Commvault’s Twitter community grew from 11,952 followers to 35,983 followers. This represents an increase of 24,000+ new followers. Overall, we surpassed the set KPIs by 38%, closing out the year stronger than ever on social for Commvault. "There are no words for how important this has been for Commvault. I am seriously proud to be working with such a strong group"